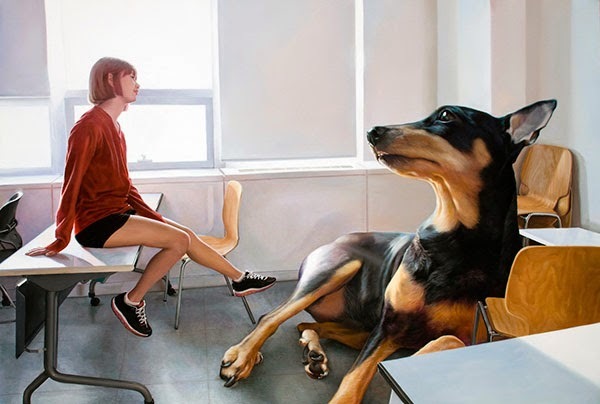 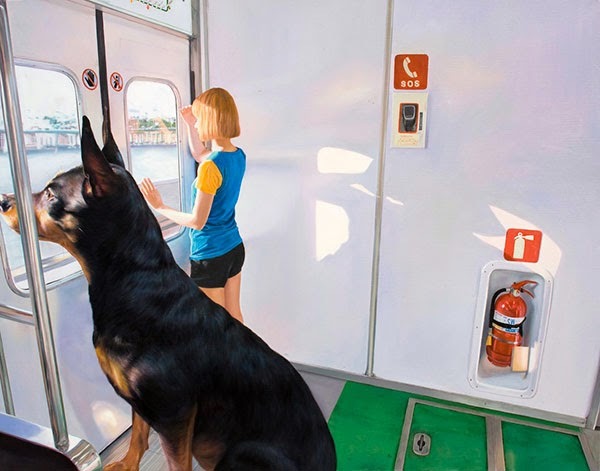 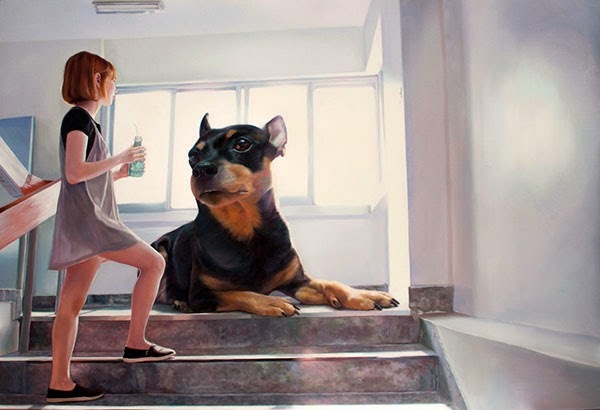 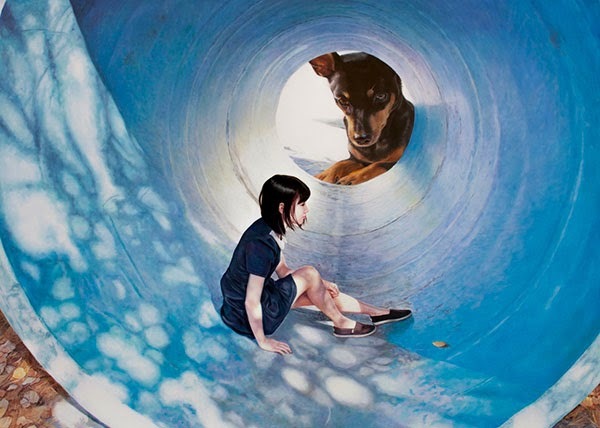 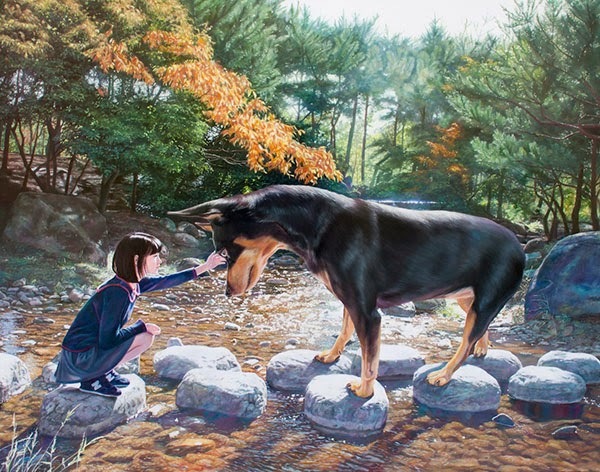 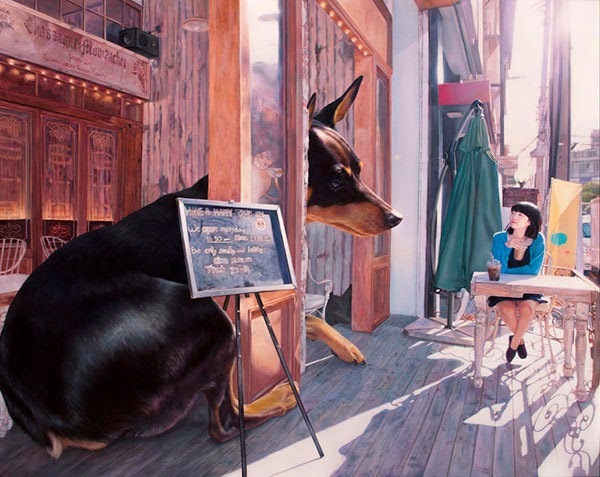 Paintings that play with scale and explores the relationship between dogs and their owners. 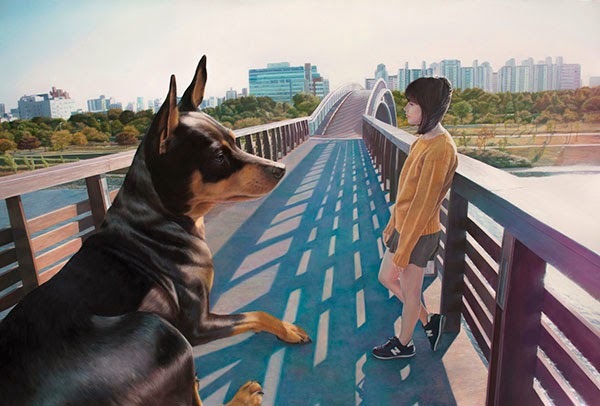 Concerned by the increasingly unfeeling nature of our fast-paced society, Jeong maintains that humanity needs to rekindle our former nature and embrace a kind of purity of state—something that continues to exist in our animals. 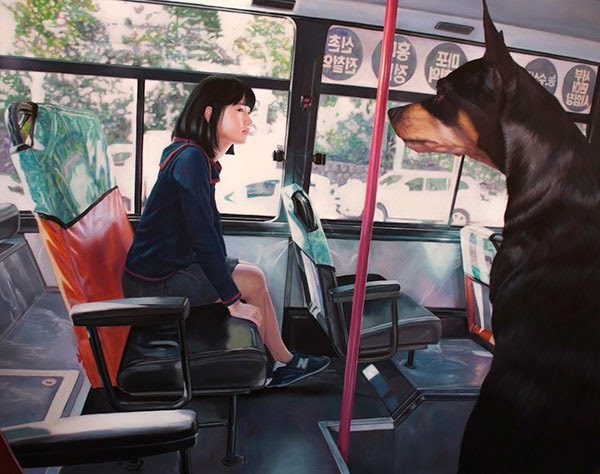 As is evident from his inversion of scale and compositional importance, Jeong is keen to explore the complementary nature of the relationship between humans and animals, and to express the dual roles that both partners enjoy as carer and cared- for at once. 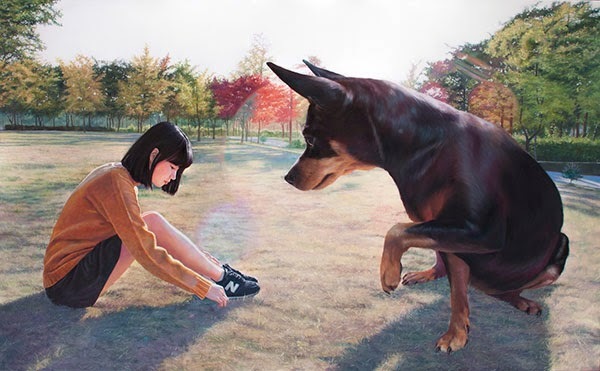 Although outwardly the relationship between pet and owner is one of human superiority, each animal provides its owner with a source of comfort, meeting the basic human need for friendship and affection.